Make use of your corner space with a wooden liquor cabinet. It is tall with four layers of storage surfaces. The topmost two are perfect for your liquor glasses while the last two can hold larger bowls and bottles. 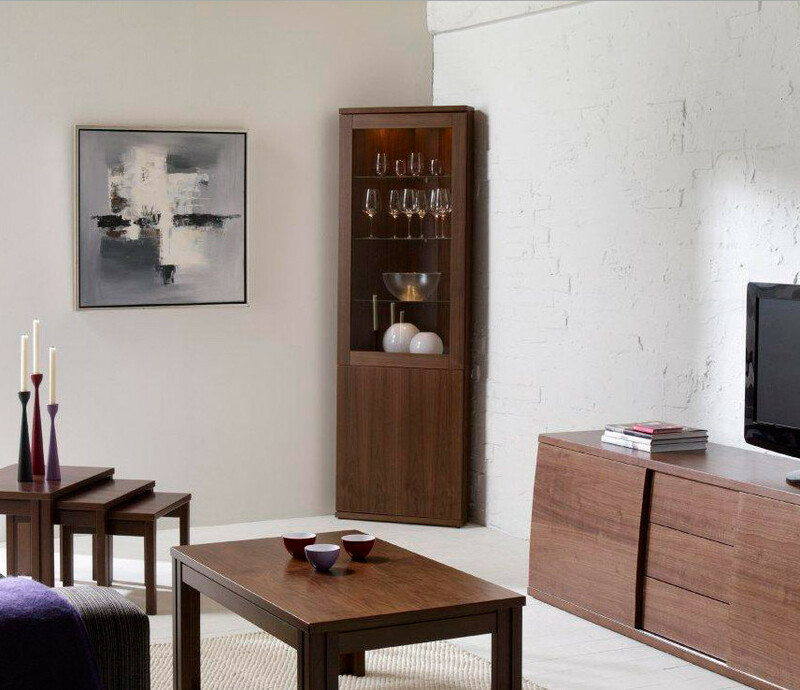 Complete your room with a wooden TV desk, coffee table and black couch.